The Federal Government on Wednesday formally charged the three Lebanese men arrested in connection with belonging to an international terrorist group and importation of arms. Those arraigned are owners of Amigo Supermarket and Wonderland Amusement Park, Mustapha Fawaz, Abdalah Tahini and Talal Rouda. 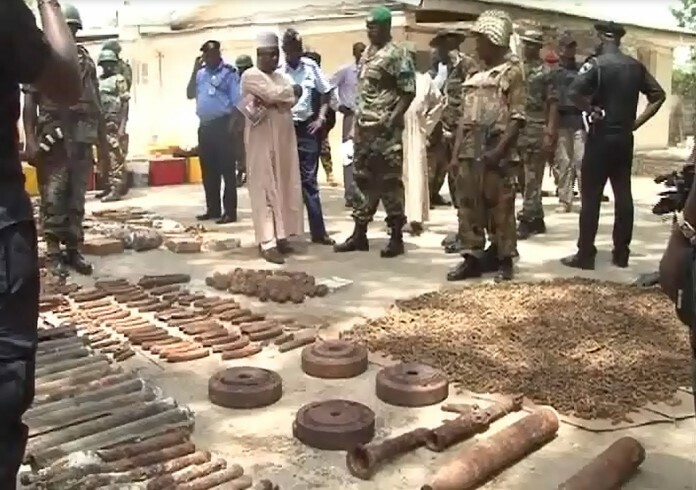 The office of the Attorney-General of the Federation (AGF) filed a six-count charge bordering on terrorism and importation of arms to render support for terrorism acts. In count one, Fawaz, Tahini, Rouda were charged with belonging to an international terrorism group, in contravention of Section 16 (1) of the Terrorism Act 2013 (as amended). In count two, the AGF, among others, accused the persons of receiving training as members of a terrorist group, contrary to Section 7(c) of the same Act. It is a criminal offence under the Act to belong to and fund terrorism. The penalty on conviction is a maximum of 10 years imprisonment on each count. The three men pleaded not guilty to the charges. After the arraignment, the Director of Public Prosecution, Mr Simon Egede, told the court that he was served with copies of an application to quash the charges filed against the three men. “It is normal that after arraignment, we will get a date for the commencement of trial. “But just this morning, I was served with a motion by the accused counsel, challenging the jurisdiction of the court to entertain the suit. In view of this, he urged the court to give the prosecution time within which to study the court processes and reply to the motion. Egede also told the court that the prosecution will file its proof of evidence and case summary and duly serve the counsel to the accused. The counsel to the accused persons, Mr Abdallah Raji (SAN), prayed the court to give an order for the remand of Fawaz, Tahini and Rouda in SSS’ custody. “We pray for this order because we have information from the Office of the Comptroller General of Prisons that major work is going on at the prison formation. “We also understand that many suspects who were hitherto in the prison had been relocated to other places,” he said. Justice Adeniyi Ademola, however, adjourned the matter to Wednesday July 3 for hearing of the motion challenging the jurisdiction of the court to entertain the suit. He ordered both counsel to file and serve all court processes before the date. Ademola ordered that Fawaz, Tahini and Rouda should be remanded in the custody of SSS until the hearing of the motion filed by their counsel. The three men had filed a N3 billion suit against the Director of State Security Service, Ekpenyong Ita. They prayed the court to declare that the action of the SSS was arbitrary and a wanton violation of their rights as guaranteed under Sections 35 and 36 of the 1999 Constitution. They also referred to Articles 6 and 7 of the African Charter on Human and Peoples Rights (Ratification and Enforcement) Act. They demanded for a public apology from the SSS, IG and AGF in three national newspapers for the alleged violation of their rights. Justice Adeniyi is yet to rule on the application.